Could you book to go on holiday and have no idea what you are going to get? A £99 secret holiday has been launched but there is a a big catch. Customers just have to go to the Wowcher website and trust they will get the holiday of a lifetime for £99. 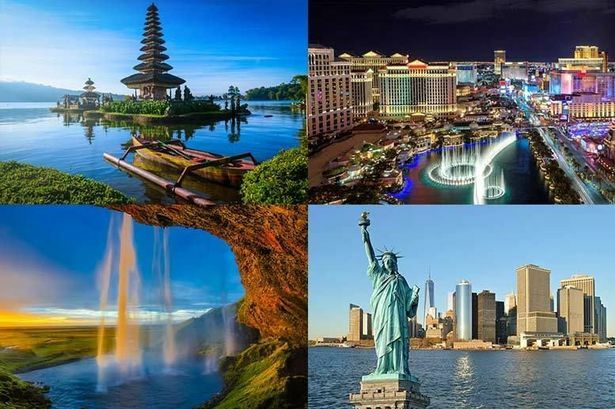 With a destination list spanning from European breaks to long haul holidays in New York, Las Vegas and Dubai- this trip sounds like it could potentially be a dream come true for the lucky ones. Not forgetting, even if you were to get one of the shorter stays- it is still at the bargain price of just £99, and that&apos;s including your flights! The mystery getaway could be to one of over 40 worldwide destinations travelling from London Gatwick, Stansted, Luton, Southend and Heathrow. So, even if you are based up north, this still has the potential to be a cheap holiday away- even if travelling down the country to one of the airports included has to be done also. Here&apos;s the full list of possible holidays you could be jetting off too in this latest deal. - 3 nights in DUBAI with flights. - 3 nights in LAS VEGAS with flights. - 3 nights in NEW YORK with flights. - 7 nights in HURGHADA with flights. - 7 nights in TUNISIA with flights. - 7 nights in TURKEY with flights. - 2 nights in MARRAKECH with flights. - 7 nights in SPAIN with flights. - 7 nights in GREECE with flights. - 7 nights in PORTUGAL with flights. - 7 nights in MALTA with flights. - 4 nights in ROME & VENICE with flights and trains. - 2 nights in DISNEYLAND PARIS INC. PARK TICKETS with flights. - 2 nights in ICELAND with flights. - 2 nights in BERLIN with flights. - 2 nights in PORTO with flights. - 2 nights in ROME with flights. - 2 nights in PRAGUE with flights. - 2 nights in PISA with flights. - 2 nights in MADRID with flights. - 2 nights in BUCHAREST with flights. - 2 nights in WROCLAW with flights. -2 nights in VENICE with flights. - 2 nights in BRUSSELS with flights. - 2 nights in LISBON with flights. - 2 nights in RIGA with flights. - 2 nights in COPENHAGEN with flights. - 2 nights in DUBLIN with flights. - 2 nights in KRAKOW with flights. - 2 nights in VERONA with flights. - 2 nights in SOFIA with flights. - 2 nights in COSTA DORADA with flights. - 2 nights in BUDAPEST with flights. - 2 nights in WARSAW with flights. - 2 nights in FLORENCE with flights. - 2 nights in TURIN with flights. - 2 nights in PARIS with flights. - 2 nights in MILAN with flights. - 2 nights in LAKE GARDA with flights. - 2 nights in BARCELONA with flights. - 2 nights in COLOGNE with flights. - 2 nights in BRNO with flights. - 2 nights in MUNICH with flights. - 2 nights in NICE with flights. - 2 nights in ATHENS with flights. - 2 nights in BRATISLAVA with flights. - 2 nights in TALLIN with flights. - 2 nights in GENOA with flights. - 2 nights in VILNIUS with flights. - 2 nights in BOLOGNA with flights. - 2 nights in COSTA BRAVA with flights. - 2 nights in BORDEAUX with flights. See the deal T&C&apos;s here for more details. If you are quite adventurous, then this could just be the booking you want to make to end this year!